Cook steaks like the high-end steakhouses do with this Cajun Bayou Broiler from R&V Works. This portable top-down broiler features a burner and firebrick overhead to reflect heat down to the meat below, giving you even heat distribution from every angle. Get that perfect flame-kissed sear with temperatures up to 1200 degrees for a professionally cooked steak in your own backyard. With a stainless steel cooking grid size of 19 1/2 by 15 1/4 inches, this gas grill is also ideal for broiling fresh fish, juicy pork chops, and even pizza (you can set the pizza on top of the broiler to cook the crust and then finish it inside). 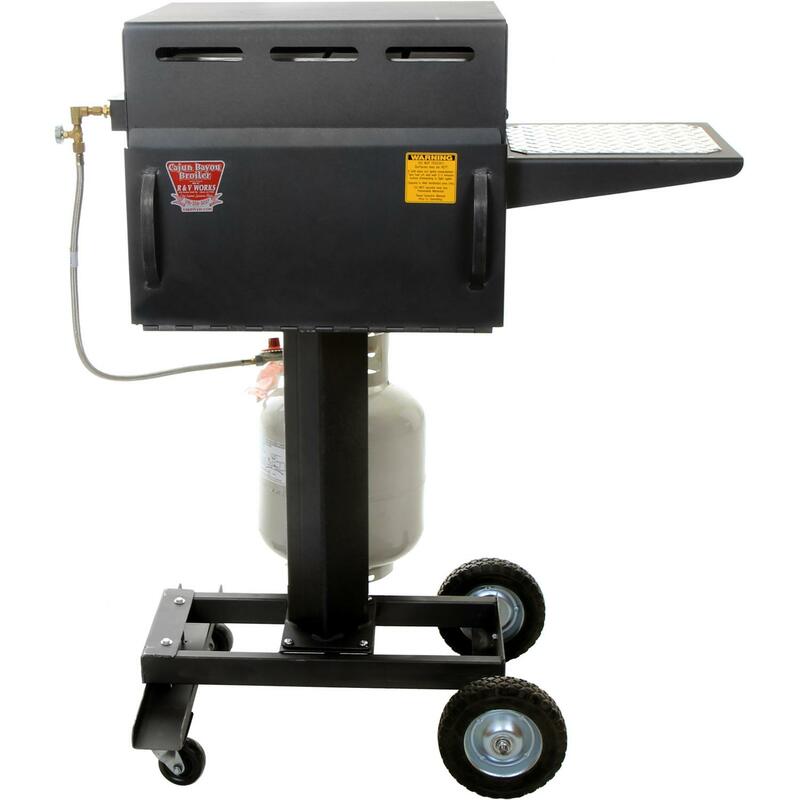 This durable top-down cooker is made of heavy-duty 10 gauge carbon steel and has wheels making it easy to transport for tailgating.